Power transformers are at present elements of low failure frequency. According to the statistics, only 2 per 100 devices is damaged within the year. Vandalism and theft are the biggest threat to it. Damages resulting from it are counted in hundreds of thousands USD. PX200N-2GV and expanded version LX10-3GV. Easy to install enables to program, install and replace by the investor employee. Tight casing (IP65), resistant to weather conditions, adopted to be installed to the transformer’s tanks. It is possible to connect 8 sensors for taking measurement or various alarm sources. RS232/RS485 interface allowing to further development of transmitting devices for digital measurement sensors. Regular and often test signals allowing to permanent monitoring of the object. 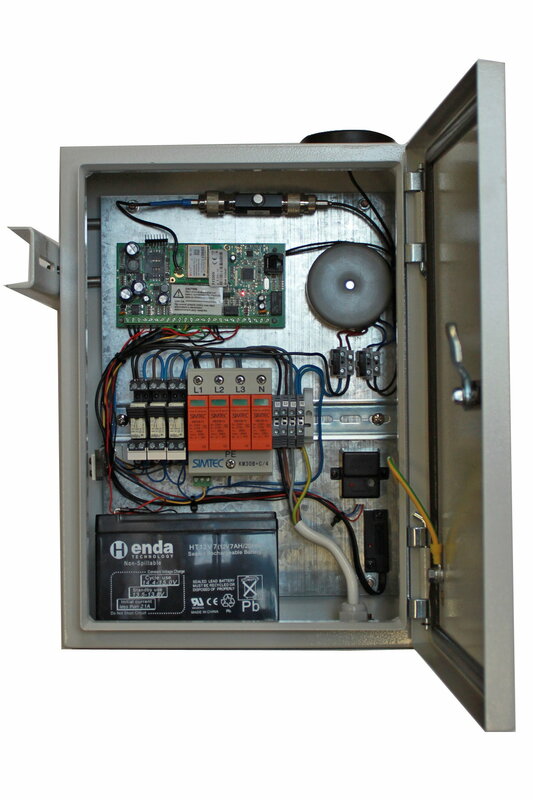 Remote change of settings with GPRS/SMS/CSD allowing to modify the system with no extra costs. Clear and immediate massages sent to any mobile phone number or e-mail address including the localization of the transformer station. Interference resistant in the electromagnetic field in the low voltage network operation close to distribution transformers 15/0,4kV. Surge protection provided by voltage limiters of B+C class (only in LX10-3GV version). Tilt sensor – built-in accelerometer (only in LX10-3GV version).